La Sien Bottling Company Limited latest job opportunities. See the requirements and procedure to apply for the La Sien Bottling Company Jobs online. Design maintenance strategies, procedures and methods. Carrying out routine scheduled maintenance work and respond to equipment faults. Diagnose breakdown problems in order to reduce or eliminate such breakdown. Provide expert advice on the purchase of new parts and ensure equipment work properly. Ensure there is continuous cover of the machinery and equipment in case of major failure/breakdown. Generate RCFA and provide analysis of breakdown. Deal with emergencies, unplanned problems, repairs and provide preventive measures. Evaluate scheduled maintenance organised by the maintenance planner. Ensure that correct spares and tools are available. Plan shutdowns and provide feedback on progress. Control downtime by informing production workers of routine preventive maintenance techniques; monitoring compliance. Implement safety, health, environmental procedures and house-keeping standards. Ensure that Technicians execute maintenance plan to standard and optimize the utilization of technician time. Analyse the equipment data to identify causes of failure and dominant failure modes. Identify the maintenance task requirements. Optimise maintenance schedules through schedule review. Contribute to self and team development. Applicants should have 3-4 years experience in production/ packaging/ manufacturing/ Engineering. How to Apply for La Sien Bottling Company Limited Jobs. 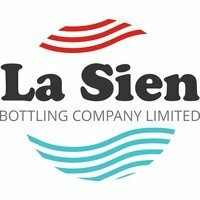 About La Sien Bottling Company Limited.